Make an investment in the academic and social development of your kids by getting one of the child bookcases from Brandenberry. 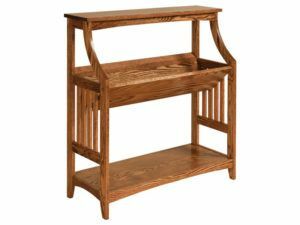 Amish made from solid hardwood, the bookcases are sturdy, durable and long-lasting. So they promise to be part of your child’s life for a very long time. 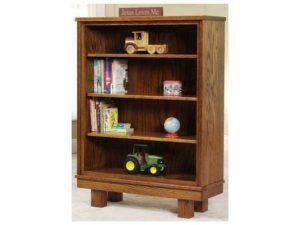 A durable design marks the Carlisle Children’s Bookcase. 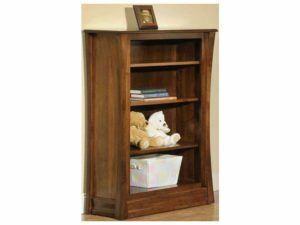 The Contempo Children’s Bookcase combines strength and style. 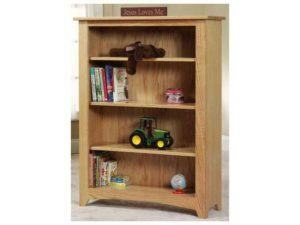 A durable design marks the Cottage Children’s Bookcase. 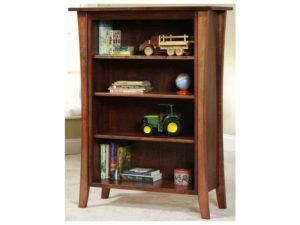 A rich finish marks the Economy Children’s Bookcase. 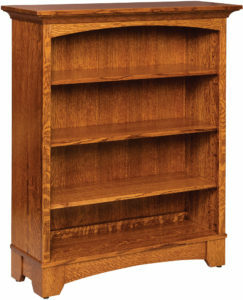 Style and storage come together in the Manhattan Children’s Bookcase. A rich finish marks the Mission Children’s Bookcase. Storage and style come together in the Manhattan Children’s Bookcase. 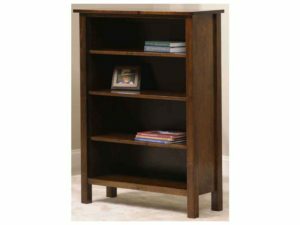 Create a nerve center of reading, playing and interactions with siblings and friends by choosing a child bookcase from Brandenberry Amish Furniture. Because kids’ bookcases such as ours do more than store books, games and toys. They create memories as kids read and play together. Sturdy construction. 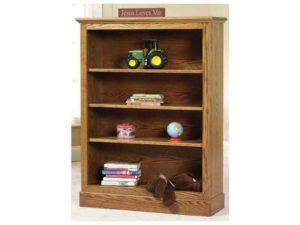 Amish cabinetmakers painstakingly handcraft every Brandenberry child bookcase. And the Amish men use quality hardwoods like oak, cherry, maple and hickory. No wonder the bookcases are so sturdy. In fact, with proper care, you should expect the bookcase you choose to last for generations to come. Styles to match your décor. Notice that the bookcases come in a variety of styles. From traditional to contemporary. So you can select a bookcase that matches your décor. Full customization. You can order a bookcase as shown or unfinished. Or, you can choose a unit and give us your specs. And we will create a bookcase that’s uniquely yours. Your options include choice of wood, finish and special features. And if you have questions, feel free to talk with one of our trained specialists. 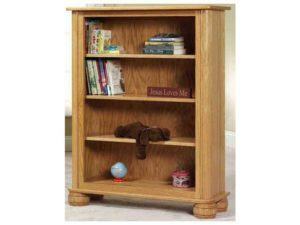 We’ll work with you to create the child’s bookcase you’re looking for.